Beta 7 is fresh off the press, full of shiny new features to investigate. 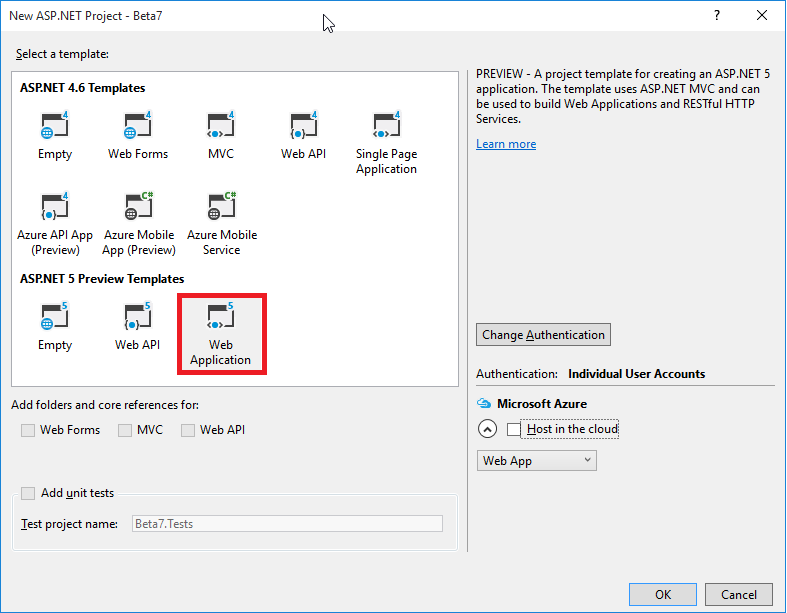 As my previous post regarding IIS deployment still gets a lot of views, and much has changed in the 9 months since I wrote it, I thought a quick update was in order. 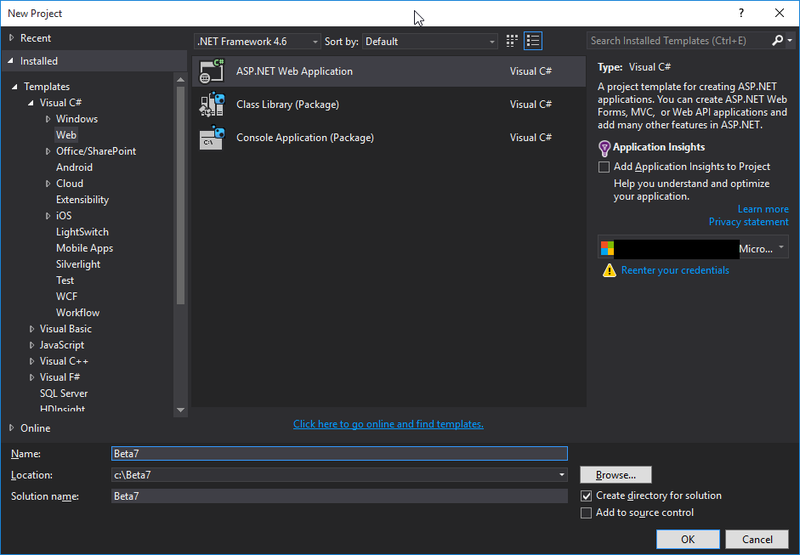 First if you haven't done it already, head over to the Download Page and get the latest Visual studio tools and dnvm. Run the WebToolsExtensionsVS14.msi and go get a cuppa, as it took almost 15 mins to finish for me, DotNetVersionManager-x64.msi on the other hand only takes a few seconds. 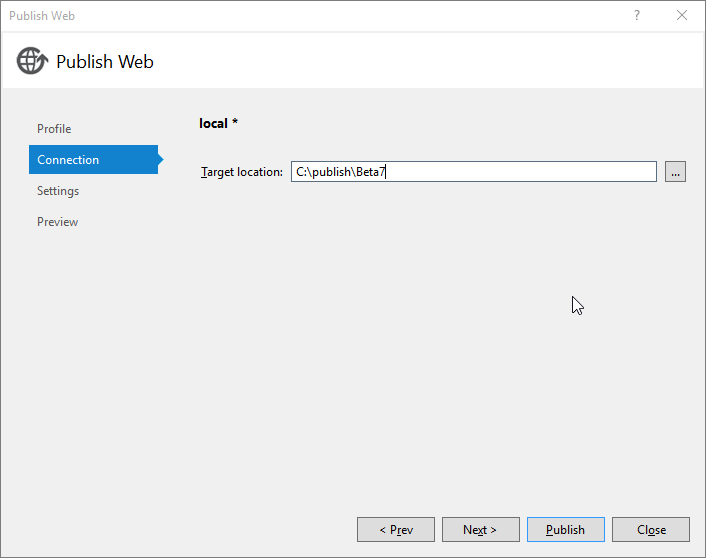 Set the name and location per your preference and hit ok. Then on the next screen select "Web Application" from the ASP.Net 5 Preview templates and hit ok.
Now right click the project and hit publish, then create a new File system target. 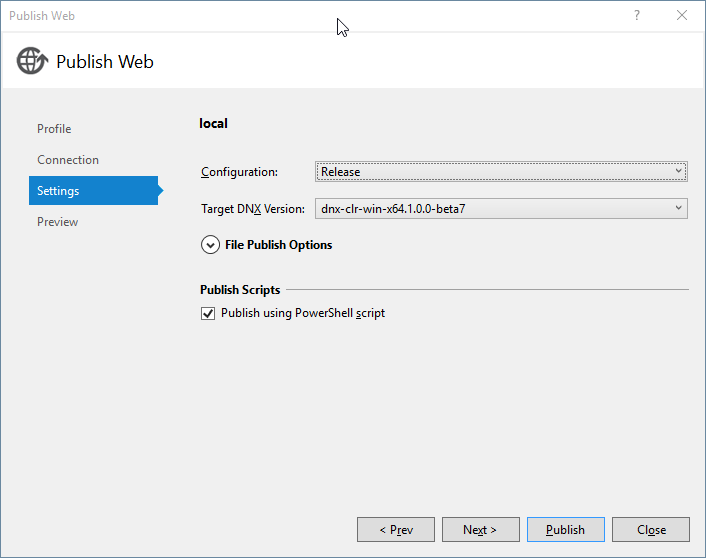 On the first attempt I left the target dnx version on the default, however my IIS application pool was set to x64 as usual, so I got the following error. So on the 2nd attempt I switched to the x64 clr version which worked fine. 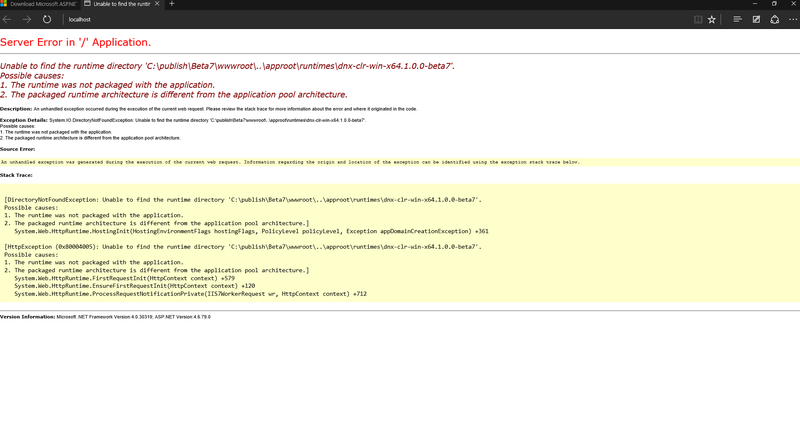 Then I simply hit publish, which was followed by an almighty spam in the output window. 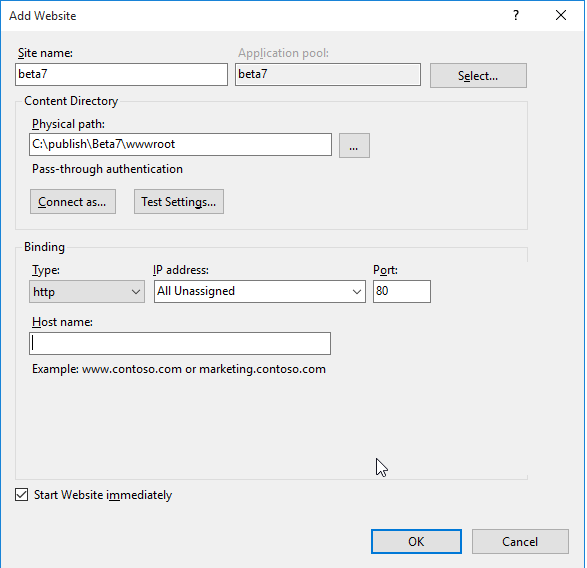 With the starter app published, I fired up IIS manager and quickly created a new site targeting the published wwwroot folder. 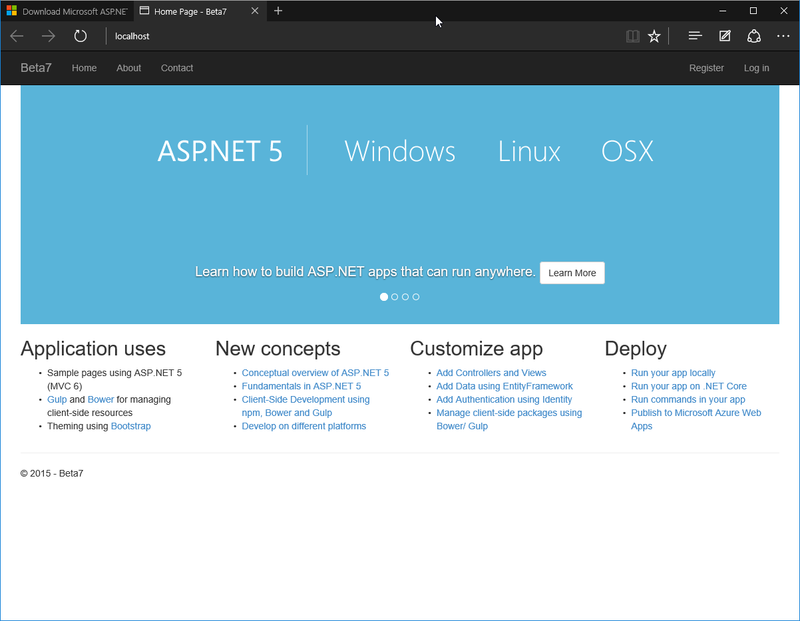 Once I hit ok, I selected browse from IIS manager and was presented with a fresh Beta7 sample site. That's it! The whole process has been improved significantly, and the one error I did receive was far more helpful than the cryptic messages present in earlier betas. 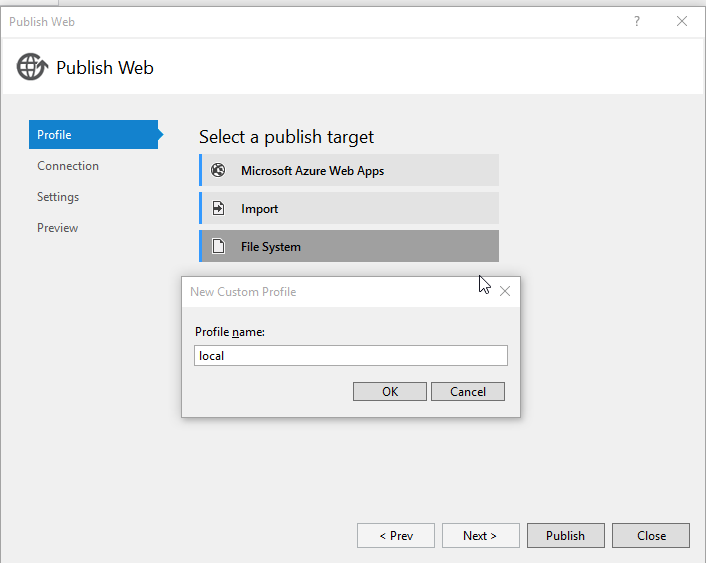 While my last post on this discussed publishing to azure, that is now even easier as it just requires the box to be checked when you create the project. 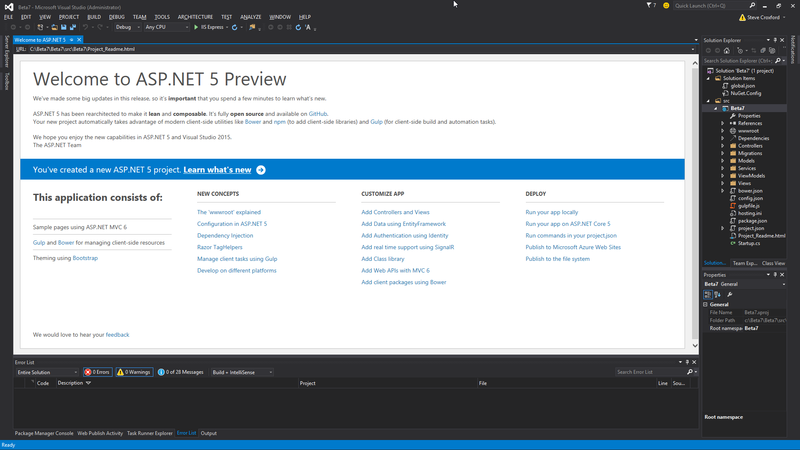 I can't wait until RC so I can start to use Asp.net 5.0 in some of our production systems.